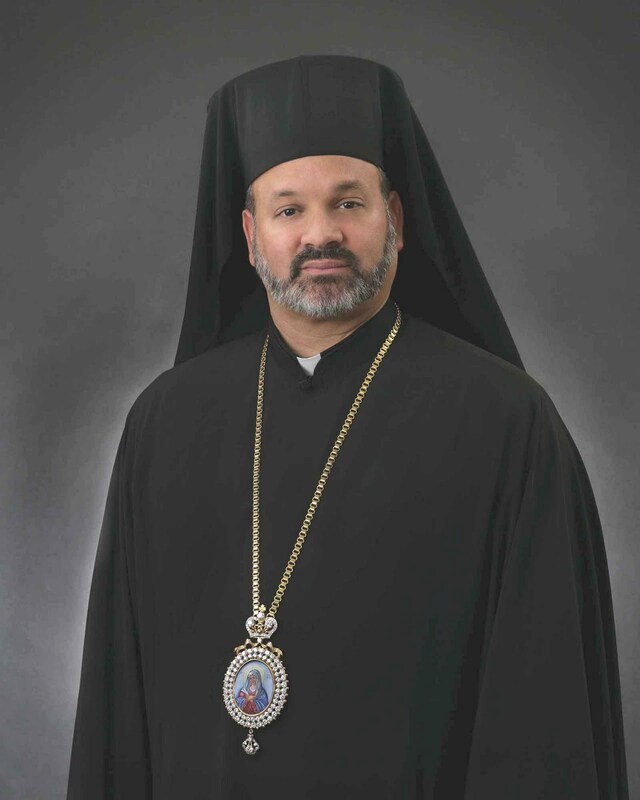 Exclusive to "Greek America Magazine", His Grace Bishop Demetrios of Mokissos, an auxiliary bishop of the Greek Orthodox Archdiocese of America and Chancellor of the Greek Orthodox Metropolis of Chicago with extensive experience in interfaith and ecumenical relations offered the following response to Rabbi David Rosen, who claimed that “…anti-Semitism is alive and well within the Greek Orthodox Church.” Rosen's remarks were in response to a Greek bishop's televised interview during which he made several anti-Semitic references and accusations. Fighting fire with fire in this instance, making gross blanket statements attributing bigotry and prejudice to a whole group of people, does nothing but perpetuate the conditions that lead to mistrust, distance and ill-will among peoples—the very conditions that Rabbi Rosen should be seeking to alleviate. After all, the Greek Orthodox Church around the world does not routinely indict the Jewish people or faith as “anti-Christian” when the Israeli government or Jewish religious groups and sects in Israel harass or impede the work of the Greek Orthodox Patriarchate of Jerusalem, or cause problems for Orthodox Christians living in Israel or within the territory of the Palestinian Authority. Similarly, when a member of an ultra-Orthodox Jewish sect literally spit on me during a recent visit to Jerusalem, I did not assume that anti-Christianity was “alive and well” in Judaism. Instead, I recognized the act for what it clearly was: the act of a prejudiced and bigoted Jewish person clearly at odds with the majority, including my Jewish hosts. Such actions on the part of the Israeli government, religious groups or persons do not and should not be the occasion for an accusation against the venerable Jewish faith. Likewise, the pathetic comments of one clergyman in Greece should not be an opportunity to smear the Orthodox Church. Furthermore, since Metropolitan Seraphim is not under the jurisdiction of the Ecumenical Patriarchate, it is, formally and morally, a matter for the autocephalous Church of Greece to address. Yet, it clearly reveals Rabbi Rosen’s misunderstanding of Greek Orthodox Church polity as well as his effort to associate all Greek Orthodox with the unfortunate and offensive remarks of one person. Undoubtedly, there is anti-Semitism in Greece, as there is in the United States and, unfortunately, elsewhere in the world. What Rabbi Rosen forgets, in his indictment of the Greek Orthodox Church, is that not all Greek Orthodox Christians are within the jurisdiction of the Church of Greece. He also seems to forget an important part of history. There are specific examples of courage and heroism among Greek Orthodox clerics during the Nazi occupation of Greece in defense of the Jewish population. Far from demonstrating anti-Semitism, Greek clergy during World War II acted for the defense of their Jewish neighbors. Indeed, when asked by the Nazis for a list of Jews on the island of Zakynthos, the Mayor consulted the local bishop, Metropolitan Chrysostomos. He told the Mayor to burn the original and actual list, then wrote his own name on a piece of paper and submitted it as the list to the German commander. Unable to thwart the Germans’ plans, despite his act of defiance, he warned the Jewish residents to hide in the mountains, where they were actively assisted by Greek Orthodox residents. Similarly and shortly before, Archbishop Damaskinos of Athens had denounced the deportation of Greek Jews to the concentration camps though threatened with execution. This is not simply anecdotal or legendary. The Jewish organization, Yad Vashem, The Holocaust Martyrs' and Heroes' Remembrance Authority, specifically awarded Archbishop Damaskinos (1969), Metropolitan Chrysostomos and Mayor Lukas Karrer of Zakynthos (1978), with the honor of being numbered with the “Righteous Among the Nations” for their efforts on behalf of the Jewish residents of Greece. Certainly, the Jewish communities in Greece, like elsewhere in Europe, were decimated by the Nazis as part of the Holocaust. Yet examples abound in Greece of Christians warning, hiding or assisting their Jewish neighbors in light of Nazi plans to deport them. There are documented cases of Jews being discovered in Greek households, though some remained in hiding until the Nazis left the country; along with support given to Jews who fled to the mountains, this certainly cannot be the foundation of a widespread anti-Semitism. Could more have been done? Yes, but that does not justify the denigration of the Greek Orthodox Church, and many adherents of the Church—often inspired and actively led by clergy—risked their own safety to assist their Jewish neighbors. These persons lived up to the ideals of the Greek Orthodox Church and her true “head” who taught that we are to “love your neighbor as yourself” (Matt 19:19; Mk 12:31; etc.) echoing the Hebrew Scriptures (Leviticus 19:18). One might argue that this is all in the past, and Rabbi Rosen is addressing current anti-Semitism in the Greek Orthodox Church. While I cannot speak directly to the status of relations between Jews and the Church Greece, I can speak with personal knowledge about Greek Orthodox relationships with Jewish persons in the Ecumenical Patriarchate generally and in the United States specifically. The positive working relationship that Ecumenical Patriarch Bartholomew has with Jewish leaders around the world is well known, and hierarchs of the Ecumenical Patriarchate around the world typically have excellent relationships with Jewish clergy. Likewise, in the Archdiocese of America, there have long been many examples of common efforts with segments of the Jewish community, religious and otherwise. In the Chicago area alone, the Greek Orthodox Metropolis of Chicago for many years participated in an annual retreat with Christian and Jewish clergy, and continues to work alongside religious and civic leaders of the Jewish community in the region through the Council of Religious Leaders, with the American Jewish Committee and the Jewish Federation of Metropolitan Chicago. There is no doubt that there are persons who identify themselves as Greek Orthodox Christians who do not abide by the teachings of Jesus Christ. Anti-Semitism is one of a number of “gravely offensive and totally unacceptable” attitudes that such persons may display, along with a host of other sinful attitudes as well as actions. This is the reality of the broken world in which we live. Thus, the ugliness of anti-Semitism may, indeed, be alive within the formal “boundaries” of the Greek Orthodox Church as Rabbi Rosen suggests. But it is by no means “well.” Along with every other form of hate, it is routinely condemned—and never condoned. The shocking statements of a bishop in Greece should not be mistaken as a revelation of Church doctrine, but rather as the sad, ugly and hurtful rant of someone who deviates from what the Church actually teaches. I certainly do not blame Rabbi Rosen or any of my Jewish colleagues or friends for being offended by the rant of the Metropolitan of Piraeus—I was likewise offended, even outraged. Yet it is precisely the practice of judging all persons of a group based on the misdeeds of one or a few—guilt by association—that leads to stereotyping, prejudice and bigotry. This was in the “background” of very offensive comments by a Greek Orthodox cleric. Unfortunately, it appears to be somewhat contagious, for it prompted Rabbi Rosen to respond in kind.